The Capricorn Full Moon falls June 28th 5.53 am (GMT) at 6º of the zodiac sign. Luna will peak in Capricorn in close conjunction with serious Saturn – shine a light on hard work to date, Stargazers! The stars shimmer and shine in the most incredible ways, coming full circle to deliver impressive messages through time and space. This Full Moon is one of those magical moments. On June 28th, the sun will be circulating in Cancer’s shores, while the moon will come to its full point in Capricorn, with planet Saturn in close proximity. The sun and moon will be at 6º of Cancer and Capricorn respectively, while Saturn will be at 5º Capricorn (see above on the 9pm / 3pm axis). Since Christmas 2017, Saturn has set up camp in Capricorn, and has by this mid-point of the year made his way to the 5º mark. He still has some way to go, but we’ve bedded in with Saturn. So what’s this full moon speaking to? With the moon in tandem with Saturn – illuminating its presence in the skies – we’re called to witness and acknowledge ground covered since last December, and progress made towards long term goals. Saturn’s the planet of graft, discipline, responsibility, persistence and hardship, and the area of our horoscope he’s passing through shows us the potential to learn by putting in the work! Remember, Saturn hates a slacker. This full moon also loops in asteroid Chiron in Aries, so more opportunities to dig deep and feel to heal. Your professional path, and ambitions are spotlighted Aries, including the limitations around what you’re striving for. No doubt you’ve been paving the way to greatness and putting in the hours – the full moon shines its light on your hard work! Seize a moment of fame and recognition. Your philosophies and faith are touched by the shimmering moon, Taurus. You’ve been making strides around some major life lessons, including what you believe in, or perhaps you’ve signed up to education of the literal variety – through some course of study or new venture at work or school. Either way, this full moon shines brightly around your learnings and your connection to broader concepts and ideals. Soak it up! Deepened understadning of relationship dynamics have been on your agenda this year, Gemini, and the full moon brings awareness to your concept of one-to-ones. You might have had an interesting (major) break-up to process, or perhaps you’ve become solid as a rock with bae. Whatever your relationship status, partnerships have been and are due to touch you deeply in the months and years to come. This full moon provides a beautiful moment to reflect on progress. How are your relationships faring, Cancer? It’s likely you’ve grown in your partnerships and are still undergoing a major process of learning to share and balance your world with others. The full moon illuminate your growth in partnerships – be it business, love, friendship and even family exchanges. Acknowledge what others bring to the table, both positive and negative. The full moon shines its bright light on your work-a-day zone, giving you reason to stop and celebrate the little things you do – the routine matters which might have improved greatly since Christmas, Leo. Think health and wellness, your everyday habits, daily schedule and your day job. Show gratitude for those that help you daily, as this area of your horoscope also governs those that serve you. Since Christmas 2017 you’ve entered a cycle to take your passions seriously, Virgo, which includes your primary talents and sense of self expression but also romantic liaisons and how you love others. It’s likely you’re no longer settling for liaisons that aren’t likely to turn into an epic love affair, or developing hobbies that don’t serve some purpose. Take a serious look but don’t be too hard on yourself! Home and hearth is spotlighted by Luna, and the great steps you’ve taken around domestic matters. Perhaps you’ve been taking your role among family or the unit or Homelife more seriously this year, Libra. Perhaps you’ve had reason to look after your health and heritage with nurturing values and oodles of self-care. Shine a light on progress in your nest and around your family ambitions, Libra. The Scorpion’s of the zodiac have been taking their connection to others more seriously since December, embracing on a journey to build skills around communication or taking responsibilities in close ties. It’s time to bring information and awareness around your closest relationships, including school friends, siblings and those you learn with. Shine a light on lessons learned. Your income and job role are in the spotlight, as earnings come up for examination by the light of the silvery moon, Sagittarius. No doubt you’ve become more stringent about finances this year, taking money matters seriously. Take a pause to pat yourself on the back where your bank balance, spending and savings go – and if you haven’t made a start today’s a wonderfull opportunity to get real! The full moon illuminates your very special qualities and the new responsibilities on your plate now, Capricorn. Saturn has been in your sign since December 2017, giving you extra work or a more disciplined outlook. Your ruler Saturn might have also created a little tension for you with his heavy load, but no doubt you’ve welcomed the task with your capable hands. Celebrate how you’ve stepped up to the plate. Surrender and transition, deep healing and profound transformative change, Aquarius. This year you’ve been tasked with really taking a step back from the usual social whirlwind you live in, to take things a little more seriously. You’ve entered a consolidation process, which might feel uncomfortable at times, yet it’s necessary, Aqua babe. Try to take a moment this full moon to pause and recognise how far you’ve come already. Community and your clan are in the frame this full moon Pisces, a supportive structure that has your interests at heart! You’ve no doubt made strides in your professional setting and have been able to get more focussed on the people you can influence with your career of choice. Add a formal touches to your attire with collars, belts and buttons. Take inspiration from the 90s when a stellium of planets was queued up in Capricorn’s constellation. 2. Celebrate Your Work Ethos! Responsible Saturn in the professional sign ‘Capricorn’ helps bring out a diligent side. We don’t need too many reminders to focus on our dental health, but if ever there was a collective moment to brush our pearly whites the full moon in Capricorn is it! Capricorn rules the skeletal structure, bones and teeth – all that is hard and even potentially brittle! This full moon treat yourself to a new brush and toothpaste, something classic and attractive. 4. GeT Really, Really Real! The full moon leaves nothing to hide, as the light of Luna is incredible exposing. This is an awesome day to tally up pros and cons, as you can get incredibly realistic on this day – take a moment to take stock, in true Capricorn style. 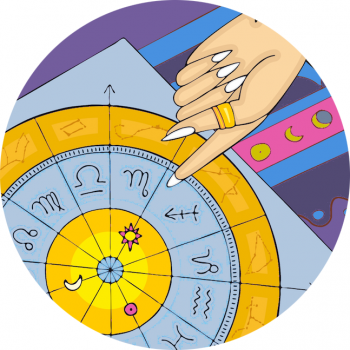 Capricorn is the most attuned to hard work, including craftsman ship and quality touches. Be sure to add a touch of authenticity to your full moon celebrations, slipping into something worthy. Born On A Full Moon In Capricorn: Carly Simon, Ashley Tisdale and Liv Tyler.